🚀🚀 Let’s be real. Are we the cheapest? Not exactly. But will you save money in the long run? Absolutely! And we're willing to bet our own money on it. You’re not just investing in a crypto bag. You’re investing in QUALITY that will serve you for years to come. Think about all those ALT Coins being lost because you got the cheapest priced bag. 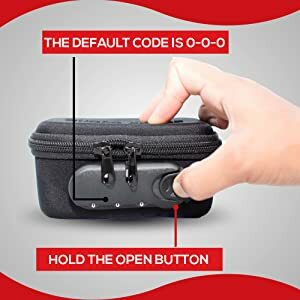 With its unique nano design lock you can set your own 3 digit password and put your bag away. 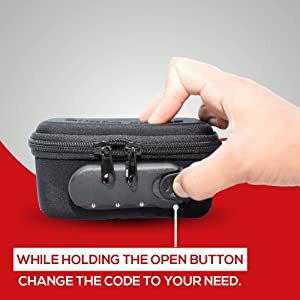 ❤️️❤️️Unlike other boring, high priced, low quality bags you will have a peace of mind with Strong Hands. 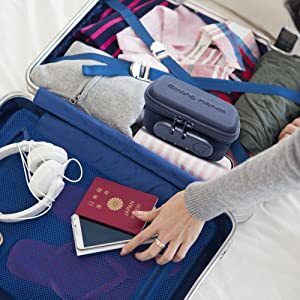 With our Patented designed bag you can be sure all your cold storage will be neatly organized without having the headache of someone trying to open the zipper. You simply lock the bag for no access --- and its even fun! Use your cold storage to store your high value ethereum, btc, ripple or other alt coins. 🚀🚀 THE PERFECT GIFT FOR THE "CRYPTO JUNKIE" IN YOUR LIFE... We all have that friend or family member who is obsessed with cryptocurrency, right? When you gift them our crypto bag they will be sure to TAG you on the next social media selfie! Their organized ledger nano or trezor will will thank you for such an awesome gift! ❤️️❤️️ DISCLAIMER - This Listing is for CASE ONLY! Digital Ledgers and Accessories NOT included! A BEAUTIFUL BAG WORTH SHOWING OFF! 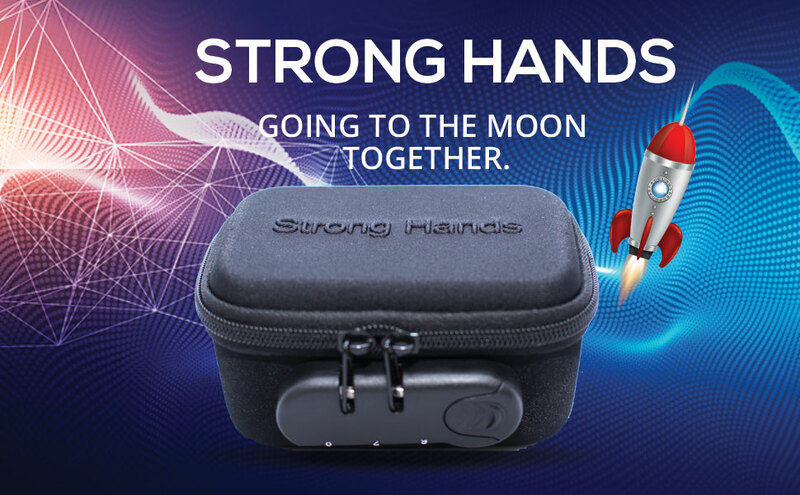 Our Strong Hands Bag is made with excellent craftsmanship and an elegant design, so you can proudly show it off to your crypto buddies. Just be prepared for all the compliments you'll receive. 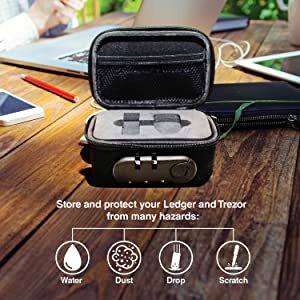 Wouldn't you love to locate your Ledger Nano S or Trezor FASTER, reduce your fear of it being stolen by HALF, and store ALL your Cold Storage Wallets in ONE. Then keep on reading because you just found the BEST Crypto bag. 99% of similar makeup bags on Amazon are made of cheap, fragile materials and are just WAITING to fall apart. Do you got what it takes to HODL? Let’s be real. Are we the cheapest? Not exactly. But will you save money in the long run? Absolutely! And we're willing to bet our own money on it. You’re not just investing in a crypto bag. You’re investing in QUALITY that will serve you for years to come. Have you heard of the famous man who "Threw Away A Fortune In Bitcoin and Now Wants to Dig Up a Landfill"? That's exactly our vision at Strong Hands that you never have to be that guy/girl who makes such a foolish mistake. 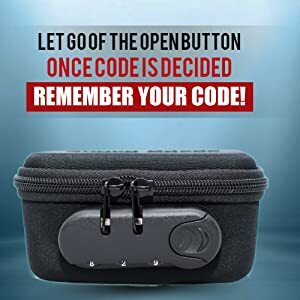 And even if you did at least our bag which keeps your Ledger Nano S or Trezor would protect it from breaking or malfunctioning.